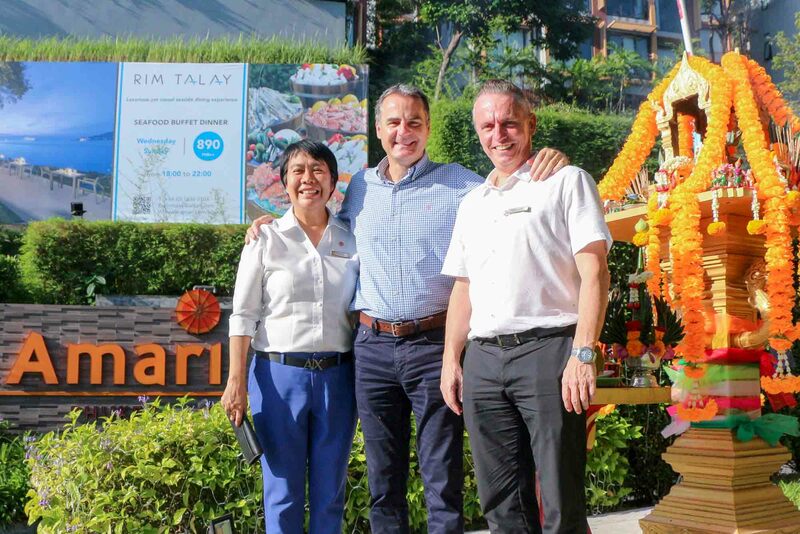 The Amari Phuket management team, led by Pierre-Andre Pelletier, Regional Vice-President, Operations – Southern Thailand, Vietnam and the Maldives (right), Richard Margo – Hotel Manager (middle) and Tipaporn Koonphol – Deputy General Manager (left), recently participated in the 34th anniversary ceremony of operations. On this special day, the team members’ representative from each department took part in the celebration, including a Buddhist blessing ceremony, paying respect to the spirit house and anniversary cake-cutting. Over three decades of delivering outstanding service, Amari Phuket will drive this success to continue being named as one of the best service hotels on Phuket island.